The Style Socialite - A Fashion/Society Blog : It's Officially Summer With OFF! & Guest Of A Guest At The Maritime Hotel! It's Officially Summer With OFF! & Guest Of A Guest At The Maritime Hotel! You know that one epic evening of Summer that you’ll always remember? 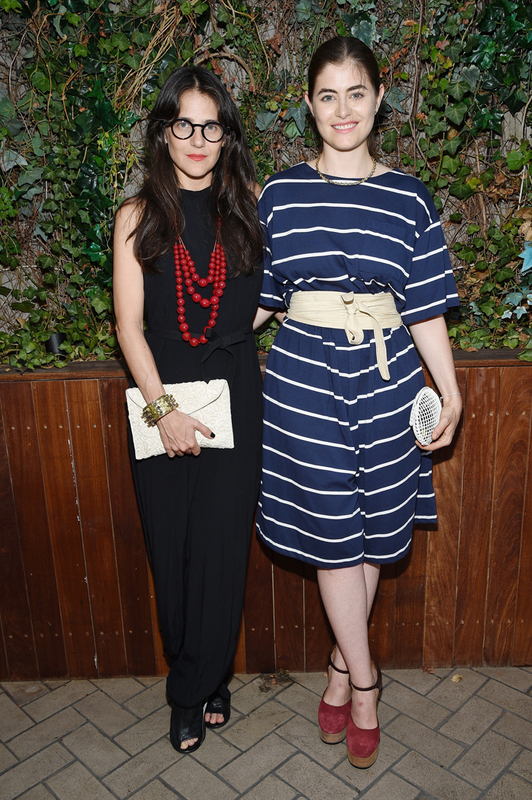 The OFF® and Guest of a Guest’s style bash was certainly it for me. 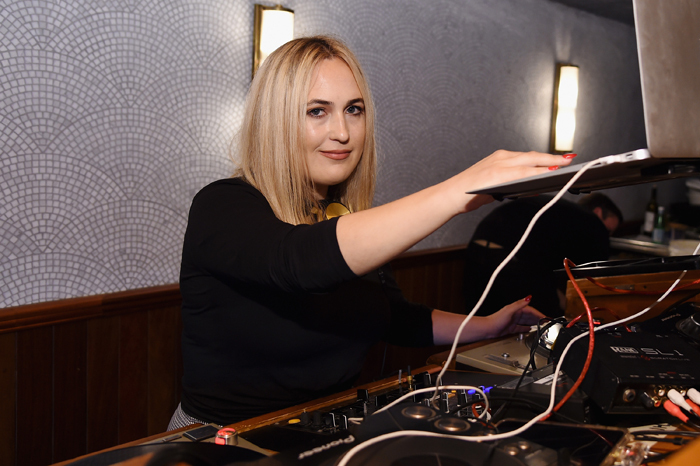 Hosted at the chic Cabanas in the Maritime Hotel, the event featured classic Summer activities like mini-golf, an outdoor décor tutorial courtesy of NYC florist Something May, s’mores by a fire pit and music by DJ Jilly Hendrix. 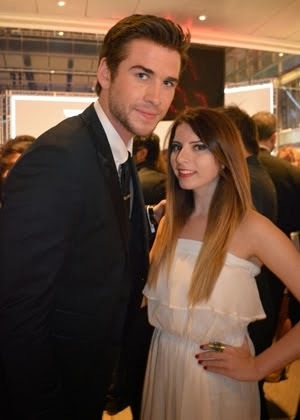 And what’s an over-the-top Summer party without a few celebrities?! Notable guests included Stacy London, Lo Bosworth, Azeeza Khan, Jess Levin, Michelle Mcswain, Sarah Haman, Gigi Burris, Annette & Phoebe Stephens, Rachelle Hrushka Macpherson and many more! The backyard style bash was a perfect reminder for guests to get back outside this Summer and stay protected with OFF!. 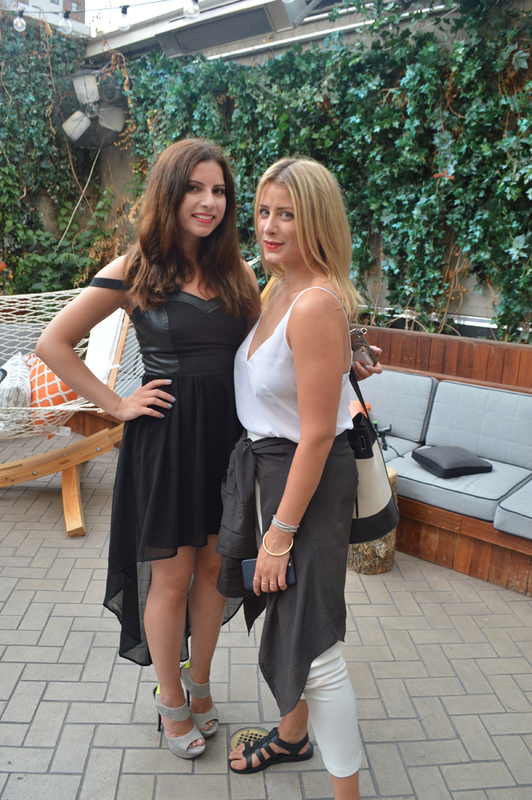 One of my favorite moments was meeting former Laguna Beach star and current fashion blogger Lo Bosworth. 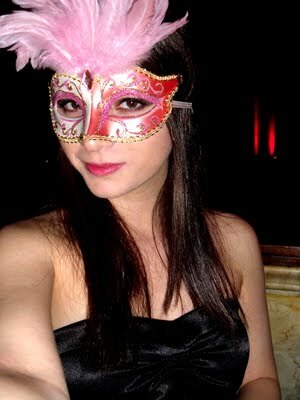 Lo now writes a popular fashion blog called TheLoDown.com. Walking into the OFF! 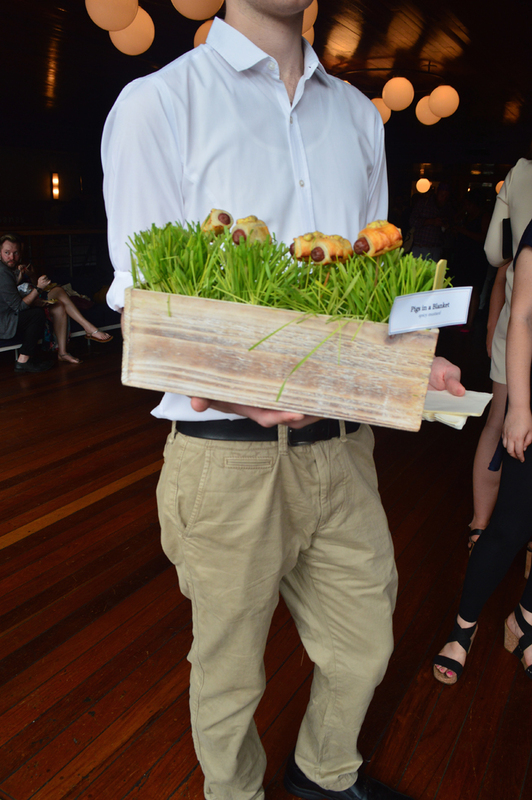 x Guest of a Guest event felt like a carefully curated Summer scene in a movie. 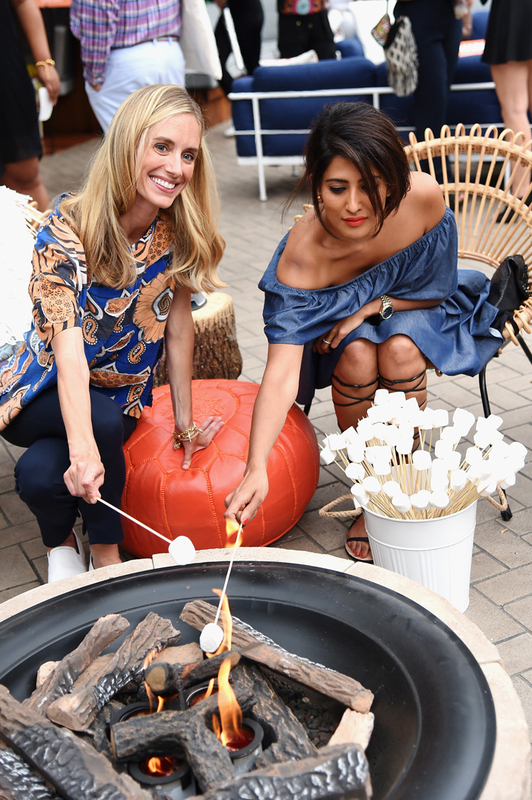 Every inch of the Maritime Hotel’s rooftop Cabana was decked out in quintessential Summer things like a fire pit with instructions to make s’mores right in the center of the Cabana! What’s an outdoor party without some pretty flowers?! Michelle McSwain and Sarah Haman from Something May were on-hand to show guests how to make outdoor floral creations. My lovely friend Michelle Grundman and me had such a blast doing a photo-op on the hammock. Seriously wish I had one of these babies at home! A bit later my good friend Robyn Herman joined us for the festivities. Always up for a good photo, Robyn suggested we pose with the new OFF! spray. Curiously I sprayed a bit on my hand and was pleasantly surprised when it actually smelled pretty good, considering it's bug spray! 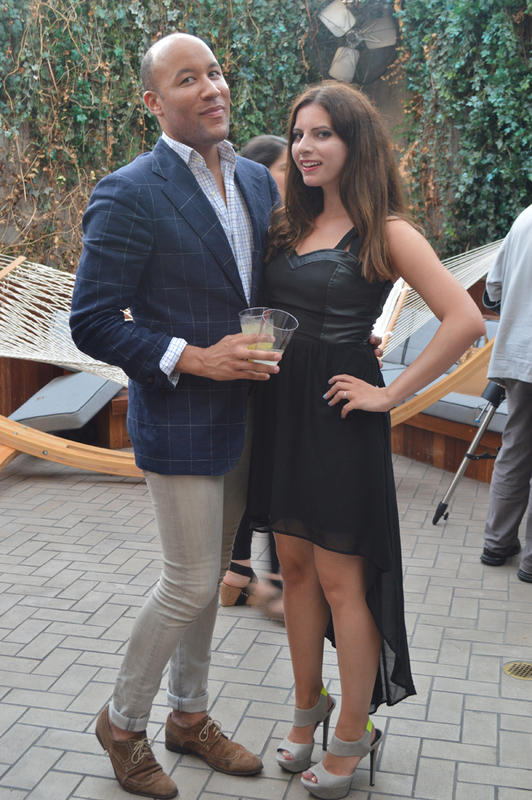 I was so happy to run into my ever so stylish friend Alex Cook at the event! How dapper does he look?! Shutterbugs were quick to gravitate to the gorgeous jewelry designers/sisters Annette and Phoebe Stephens from Anndra Neen. Milliner Gigi Burris was also in attendance. I’ve been such a fan of Gigi’s work for quite some time now, especially her floppy hats and fascinators! 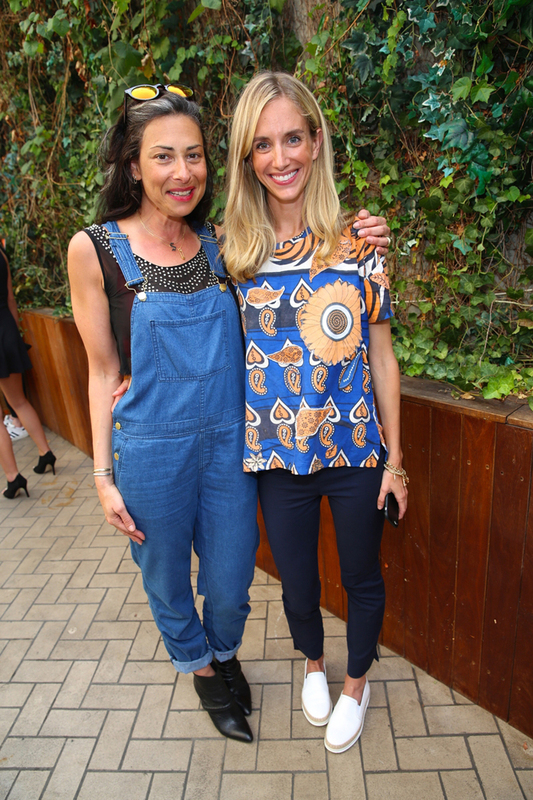 Celebrity Stylist Stacy London from TLC’s What Not to Wear and Guest of a Guest co-founder Rachelle Hruska MacPherson looked super chic for the Summer festivities. A few lucky guests also had an opportunity to get their nails painted the perfect Summer shade. Celebrity DJ Jilly Hendrix entertained the stylish crowd with hot Summer beats. 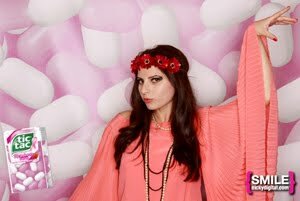 One of my favorite things to do at the event was definitely the photo-booth which came with some fun props to play with. Here’s the fun snap from our mini Summer photo-shoot. My absolute favorite part of the event was having the chance to share the moment and memories with my best friends. Thank you OFF!, Guest of a Guest + Edelman team for having me!